So it's suppose to be Wordless Wednesday, but I just couldn't post this picture without a few words... 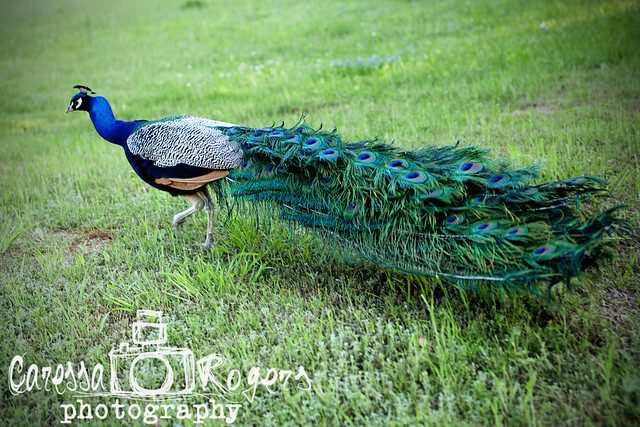 This peacock is know in Keene, TX to freely roam the city. You will see it on roofs, crossing streets and my friend's mom even found it in her shower once!